Do you love watching movies ? If you love to watch movies, this article can suggest you 6 Best Movies Apps for iPhone & iPad which can help you to watch your favourite movies, TV shows and movie trailers on your iOS device. These apps are highly popular and offer great service to users. 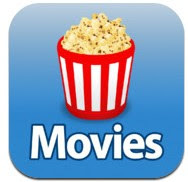 Okay let’s see the list of best movies apps for your iPhone & iPad. 1. Netflix – Netflix offers one of the best subscription services to watch TV shows & Movies. Netflix iOS app lets you watch your favourite movies and TV shows on your iPhone or iPad. Netflix is a free movie app that allows you to access thousands of TV shows and movies from your iPhone or iPad, you only need to pay Netflix membership fee. With Netflix, you can watch unlimited movies and TV shows at very low monthly subscription fee, browse your interested movies and TV shows by titles. Great movie app but available for only certain countries. 2. 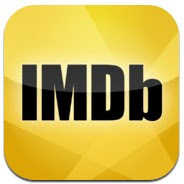 IMDb Movies & TV – IMDb is a beautifully designed easy to use movie app that can help you to watch your favourite movies, TV shows , movies trailers and photos on your iPhone or iPad easily. IMDb Movies & TV comes with many useful features and large collection of movies, TV shows and celebrities info. You can install this useful app on your device free of cost. IMDb Movies app lets you access more than 2 million movies and TV titles, 4 million celebrities including actors, actresses , directors, crew members etc. This app also helps you to find movie showtimes theater near you, TV shows, recap of your favourite TV shows, latest entertainment and movie news etc. One of the best movie apps for iPhone & iPad that can be used free of charge. 3. Fandango Movies – Fandango is one of the best movie ticketing apps on App store and it allows you to buy tickets of your favourite movies. You can also access many useful features by installing this app on your iPhone or iPad such as – movie trailers, movie clips, movie stills & cast photos, exclusive interviews etc. 4. 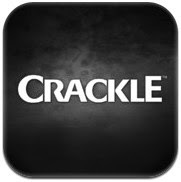 Crackle – If you want to watch full length movies without paying your valuable money, this app could be the best option for you. Crackle helps users to watch full length movies free of charge on their iOS devices. Currently this app offers this useful service only in few countries which are- US, United Kingdom,Canada, Australia, Brazil or Latin America. With Crackle, you can watch your favourite full length Hollywood movies & TV shows and download movies free of charge. This app offers everything free of charge but shows some short video ads to cover service cost. One of the best free movies apps for iOS devices and it lets you watch and download full length movies free of charge. 5. 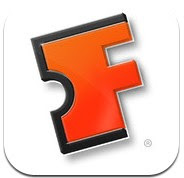 Movies by Flixster – Flixster is one of the most downloaded movie apps on App store that can be used to watch movie clips, movie trailers, reviews and showtimes. With this app, you can also look up showtimes of your favourite theater. One of the most downloaded free movie apps and it helps you to watch free movie clips, reviews, read critic reviews, buy tickets and download movies. 6. Watch Free Movies & TV – OVGuide – OVGuide is a great movie app for iPhone and iPad. OVGuide allows you to watch full length movie free of charge, and you can also download this movie free of cost from the Appstore. This movie app lets you watch full length movies, popular TV shows, documentaries and more. With this app, you can easily watch your favourite movies and movie trailers without paying your money. One of the best movie discovery apps on the Appstore.